Ultra-compact, high quality studio monitors. Linear frequency response. Zero coloration. Transparency. Headroom. To hear the truth, you need reference speakers that will deliver. And if you work in a home or small studio you have even greater challenges, from the lack of space on your desk to the “less than ideal” position of your audio workstation, typically placed against a wall. Now, with iLoud Micro Monitor, you can hear the truth in your music anytime and everywhere. One of the smallest active studio reference monitoring systems in the world, iLoud Micro Monitors provide you with ultra-accurate true linear frequency response with no coloration, and do so in every listening environment, especially in home and project studios. 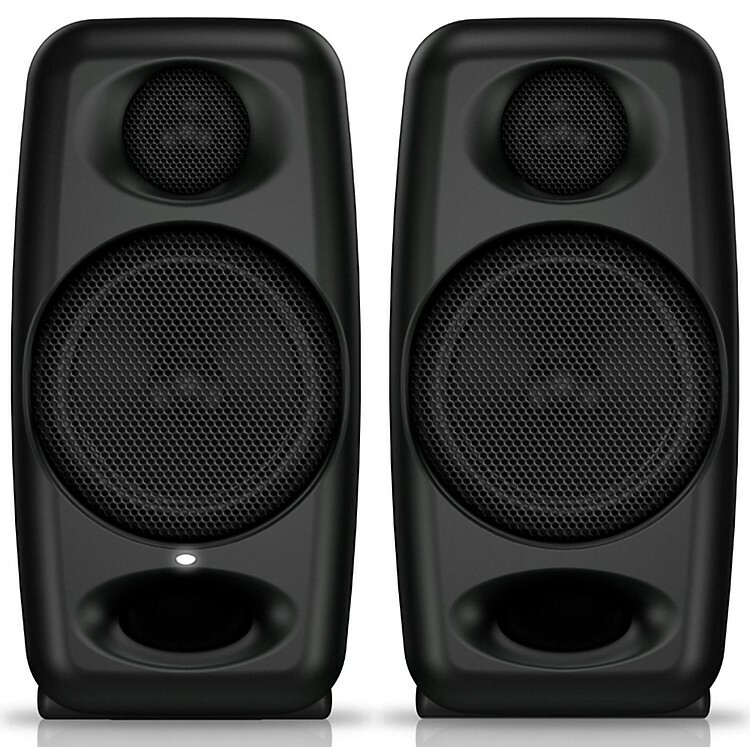 iLoud Micro Monitors are two extremely portable, high-performance bi-amped speakers that deliver a combined 50W RMS of power for solid bass, plenty of headroom and a stunningly defined stereo image. Whether you’re recording, editing, mixing or mastering audio, editing video, sound designing or gaming, iLoud Micro Monitor ensure your production will translate well to the huge variety of consumer devices — headphones, home stereo systems, gaming consoles, car audio systems, TVs, and other listening systems. Each tweeter and woofer is powered by ultra-efficientclass D power amplifiers that push a total of 50W RMS with amazing low-end response down to 55Hz (-3dB) — the best bass response in its category. Each monitor sports a 3/4” silk dome tweeter, a 3” high-rigidity custom composite material wooferand a large-flaring front-firing bass reflex port. Thanks to these features, it’s able to deliver smooth and extended high frequencies, an exceptionally open, focused midrange and a solid, controlled low end. Simply put, iLoud Micro Monitors sound is so good that it’s nearly inconceivable for a speaker system of this size and at this price point. With iLoud Micro Monitor, you will hear the truth in your music no matter whether you’re mixing in your bedroom, mastering in a small studio or just listening to your favorite tunes at home. And best of all, offers high-end features that can be found only in monitors in big budget studios, but without the high-end price tag. Ultra-compact monitoring for limited space and mobile applications, order iLoud Micro today!